Back at the warehouse, the team is trying to guess what flavor each chocolate is that Shadow Cabe sent to Paige. Toby checks up and tells Walter to know that Mark is out of the equation, but Walter’s a little busy with another issue. He’s doing everything in his capacity to sour the relation between Tim and Paige. Talking about this week’s mission, a Russian lady shows up, who some think is a nuclear energy council chief. She tells the group about how Soviet Russia paid to build a massive concrete dome over the Chernobyl leak’s ground zero to stop radiation from leaking out. But the dome is decaying, and the cracks are opening up, letting the radiation escape, which will affect almost all of Eastern Europe’s soil and water supply. If the dome is fixed, the radiation can be held off for another 150 years, making the entire area safe again. 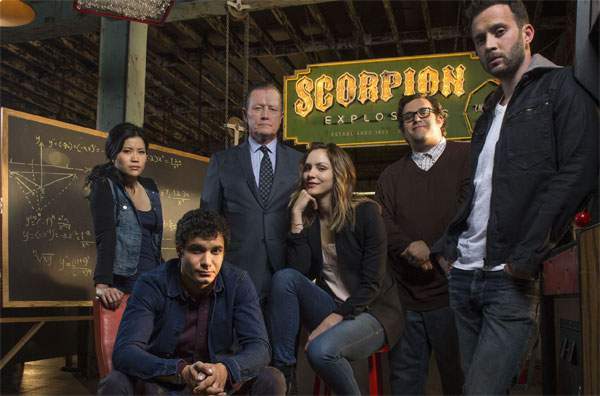 Team Scorpion must work hard and investigate to find the strongest points to seal. So Happy, Sylvester, and Walter get to work on how to fix the dome. The radiation can be studied from the outside using a device called RANDY. But they also need to check out the area from the air apart from the ground. Oksana takes the job for air recon. Paige agrees to go in with Oksana and Sly. Meanwhile, Toby finds out that there are more leaks than the team initially thought. RANDY indicates the presence of huge amounts of corium, which can cause another Chernobyl situation. Due to the corium, RANDY blows up, causing a massive blast. Simultaneously, Oksana’s plane crashes into the dome. Outside of the dome, rest of the team makes a plan to get Paige, Sly, and Oksana out by attaching chains to a carousel that will help pull the plane out of the dome. In the mission, Page and Walter get stuck inside the dome. Then there is a whole lot of sequences between Paige and Walter while it is decided by the team that corium needs to be closed off by imploding the dome. Walter and Paige just get out of the dome in time before the dome implodes and falls down on itself. In the end, Mark shows up. He hits Toby unconscious and loads his body into the back of his van.